Be advised: if you get a speeding ticket, the cost of your auto insurance will change. There’s a uniquely terrifying feeling about seeing those flashing lights in your rearview mirror. Unless the officer lets you off with a warning, you know you’re going to pull away from the shoulder with a fine to pay. Unfortunately, if you were pulled over for speeding, the expense doesn’t stop there. A speeding ticket can (and most likely will) have an impact on the cost your auto insurance. Each insurer treats traffic violations differently. Some will raise your rates for a year, while others will extend beyond. Either way, your ticket shows that you engaged in some risky behavior on the road, making you riskier for your insurer to cover. They pass that risk along to you in the form of higher premiums. In short, if you got a speeding ticket, be ready to pay more for auto insurance. 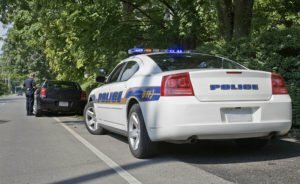 How much you were speeding will play a role in how much you pay. If you were only driving 5 miles above the posted speed limit, your premiums will probably only increase slightly. Between 5 and 15 miles over the limit, you’ll see a greater increase. And if you were driving more than 15 miles over the speed limit, you’ll probably see a significant increase in your cost of coverage. Why? The more you were speeding, the riskier your driving. There is hope! You can contest your ticket (just make sure you don’t admit guilt if you plan to contest your ticket) or attend traffic school to remove the ticket from your record. If you can get the violation off your record, your premiums should stay the same. If you’ve recently been hit with a speeding ticket, contact McCarty Insurance Agency. We can work with you to make sure you’re still getting the most affordable auto insurance possible. For all of your car coverage needs in Fresno, California, call us today!